Finally, hair talk! To know me is to know that I’m obsessed with my hair. I take care of my hair like it’s my baby and that’s no exaggeration. It took me years to grow it down passed my lower back and I’m so happy with it. I can’t tell you how many girls ask me what I do to keep my hair in the condition that it’s in, looking healthy & shiny and even more ask me how I grew it so long. There’s a lot of care and attention that goes into the process to be honest. It would take quite a while to tell you all about every step but I do have something that I have been enjoying using lately The Revita Brush. I had first heard of the Revita Brush from a girlfriend of mine who had been using it for a few a few months. She told me how it was a brush that vibrated rapidly as you moved it through your hair. It immediately made sense to me since I know that vibration on our scalp is a form of stimulation. Stimulation increases blood flow and blood transports nutrients to our hair allowing it to grow and be healthy. That’s why many salons offer scalp massages. Back to my friend who was using it. I like to think that I’m a very observant person and I quickly noticed how healthy my friend’s hair looked. We’re talking about a girl who is, typically, no stranger to heating tools and bleach so believe me when I say that I have seen her hair in all stages. But this was the first time, in a very long time, where I had seen her hair looking so healthy! I was intrigued and decided to learn more about her brush. I’m not saying that the brush was or is 100% responsible for all of her changes but the facts speak for themselves. When someone starts doing something new and experiencing positive changes, I assume that the changes they’re making are contributing. So I got my hands on a Revita brush. When looking at it, I figured it would be very heavy and difficult to manage since most massage wands tend to be heavy. I was pleasantly surprised to find that it’s actually very lightweight and easy to use. It’s the same weight as any brush to be quite honest and actually lighter than many. More importantly, I put it to use. How did I like it? I like it a lot. It feels absolutely great. I find that using the brush is extremely relaxing. I spend time brushing my hair everyday and this makes the process less of a chore and more of a relaxation therapy. I usually hate brushes because of the static look I’m often left with but that doesn’t happen with the Revita Brush which I believe must have something to do with the vibration. I also found it much easier to manage my hair and there are far less instances of the brush catching or pulling your hair as is common with any brush when you use it enough. 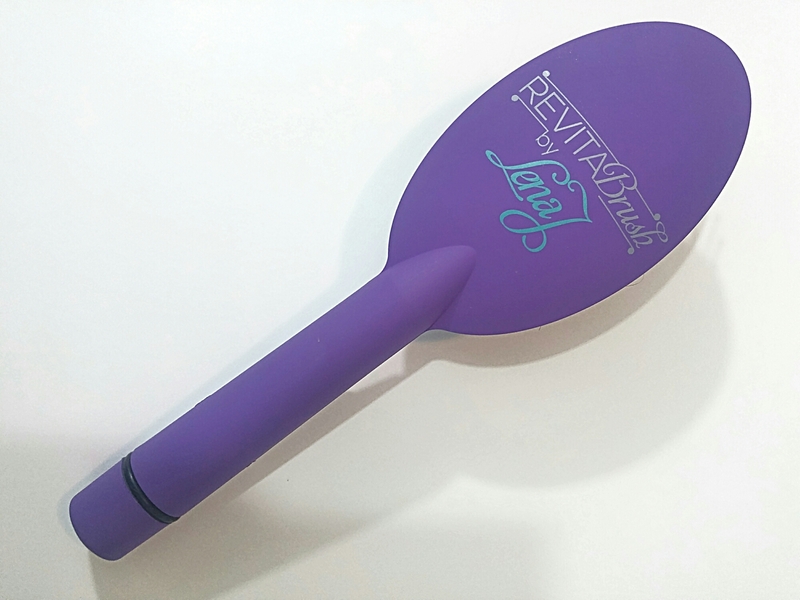 The vibration element helps a great deal in allowing the brush to pass, smoothly, through your hair without a hitch. I have not, yet, noticed length nor thickness changes because I have not been using it long enough, but my girlfriends hair is definitely looking better and I have more than enough positives to make using the Revita Brush a daily thing going forward. Bonus; it felt amazing placing it on my shoulders after a hard workout. This sounds literally amazing – I have long hair but it can be in varying states day to day and I’d happily pay less than forty dollars if it meant getting better hair! I’ll have to look and perhaps invest.